Effortlessly fusing chic, simple design with luxurious finishes, the Lush Real Leather Brushed Stool Grey is an absolute must-have. An understated design that provides great support, the Lush will bring your bar area to life and is definitely not to be missed. 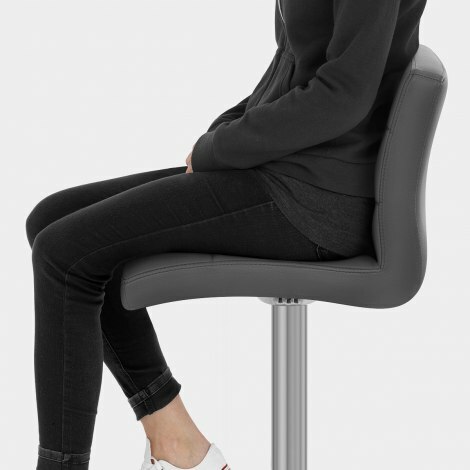 Featuring a tall, supportive backrest, the seat has been ergonomically designed for outstanding comfort. Both are well padded, and upholstered with gorgeous grey real leather. 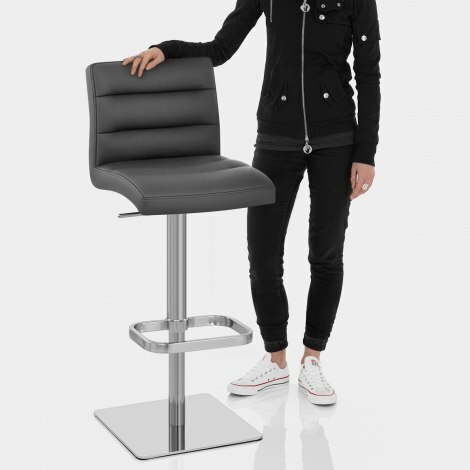 Parallel stitching on the seat and backrest enhances the minimalist design of this deluxe model. Impressively adaptable, the frame features an integrated gas-lift for adjustable height, as well as 360-degree movement. Heightened by the muted look of the hand-brushed steel frame, a striking rectangular footrest is also included for additional support. The weight of the flat, square base helps to keep this model stable, plus floor protectors are included to help to keep your floor looking great. "Cannot fault these stools. They really are lush"
Very good easy assembly as well. Excellent leather stool. Very heavy base for stability and looks and feels good quality. They are very comfortable and well padded on the seat and back. I like the brushed chrome look and we were unable to find very few on the market. The base is very heavy (thats good as you don't want a child pulling down the stool and injuring themselves). They are a quality item. Believe me I am very fussy! So pleased with this purchase. 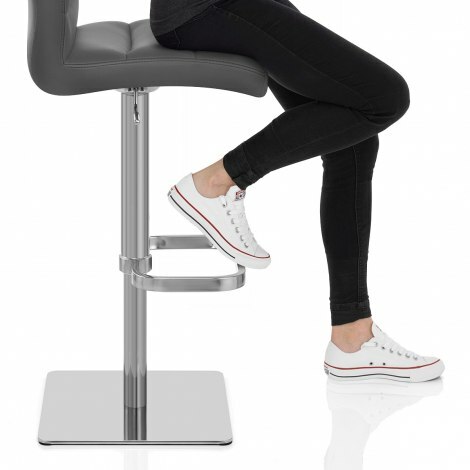 Easy to construct quality comfortable seats and solid heavy bases. Look fantastic. Only hiccup was that the delivery came in two separate vans on the same day. We were not made aware of this so were confused when initially only the bases arrived. The delivery man was also unaware that the seats were arriving later.